In 2013 Rainham School for Girls entered their local secondary school games ran by Medway School Sports Partnership which they won. They then went on to represent Medway in the next round and again won, going on to represent South East England. After winning the South East England title they went on to the final in Birmingham where they beat Tottenham Academy to become English National Champions! 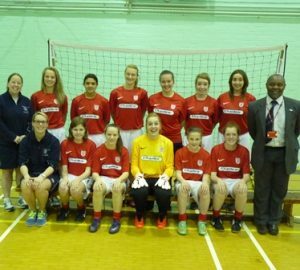 If that was not enough, in October 2013 they were selected to represent the English Schools Football Association in the Futsal World Cup to be played in Sardinia at the end of April 2014. Duplex are proud sponsors of this excellent England team and wish them every success in Italy.